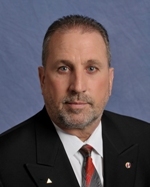 IAM Midwest Territory General Vice President Philip Gruber is one of 12 members recently appointed by Illinois Gov. Pat Quinn to serve on the Workers’ Compensation Advisory Board. The appointments are in response to the recently-passed reform legislation overhauling the state’s workers’ compensation system. The makeup of the Board balances the concerns of businesses, while continuing critical protections for workers. Toward that end, six Board members represent employees, and six represent employers. The Advisory Board will make recommendations on the appointment of arbitrators and assist the Illinois Workers’ Compensation Commission in formulating policies, setting priorities and developing administrative goals. The reforms are expected to save Illinois businesses between $500 and $750 million dollars, while continuing protections for injured workers.